Miami fans have selective memories. They have forgotten that coach Al Golden signed Brad Kaaya, one of Miami’s best quarterback prospects in years, one who has been ecstatic to be a Hurricanes player since he set foot in Coral Gables and projects as a four-year starter with limitless potential. They have forgotten that Golden, rather than cast off Joseph Yearby, a former high school all-American dealing with serious family concerns this year, allowed the player to take an extended leave of absence. Yearby has returned to the team and thrived. 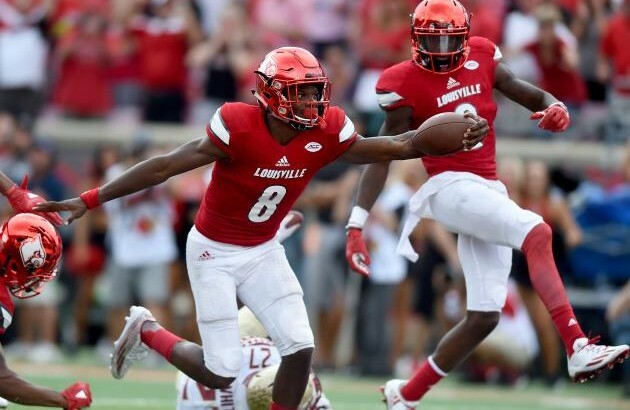 On Saturday, those two players and senior wide receiver Rashawn Scott combined for more than 650 yards of offense as Miami beat longtime intersectional rival Nebraska 36-33 in overtime. 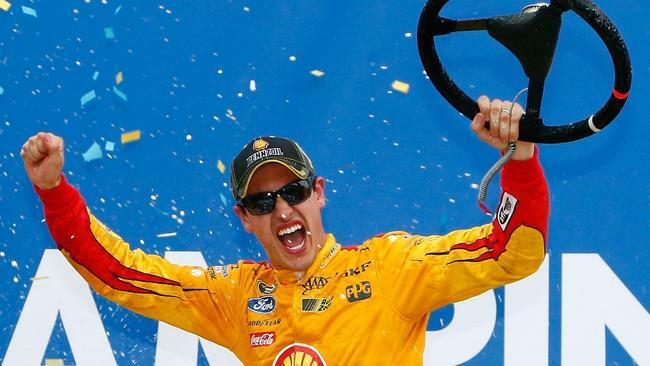 TALLADEGA, Ala. (AP) — As Joey Logano made his third straight trip to victory lane, questions swirled about reigning Sprint Cup champion Kevin Harvick’s late-race tactics. Several competitors accused Harvick of intentionally causing a race-ending caution Sunday at Talladega Superspeedway, where Logano completed a sweep of the second round of NASCAR’s playoffs. It came at the expense of Dale Earnhardt Jr., who was eliminated from the Chase for the Sprint Cup championship at his best track for the second consecutive year. Earnhardt led a race-high 61 laps, but had to settle for second in a race he had to win when the Harvick-triggered crash ended the race under caution. NASCAR’s most popular driver did not question his fate. NASCAR said this week it would make just one attempt at Talladega to finish the race under green instead of the usual three tries in a nod toward creating a safer racing environment. Drivers were almost unanimous in their support of the change, even when it came into play in a race that cut four drivers from the Chase field. Eliminated Sunday were Earnhardt, Ryan Newman — the runner-up to Harvick last year — and Joe Gibbs Racing drivers Matt Kenseth and Denny Hamlin. JGR was considered a heavy favorite in this Chase after a dominating regular season, but had two of four drivers eliminated Sunday and both were furious with Harvick. The moment Virginia Fuchs had waited for so much of boxing career finally arrived Wednesday night. If her celebration leap hits YouTube, she just might earn herself a WNBA tryout. 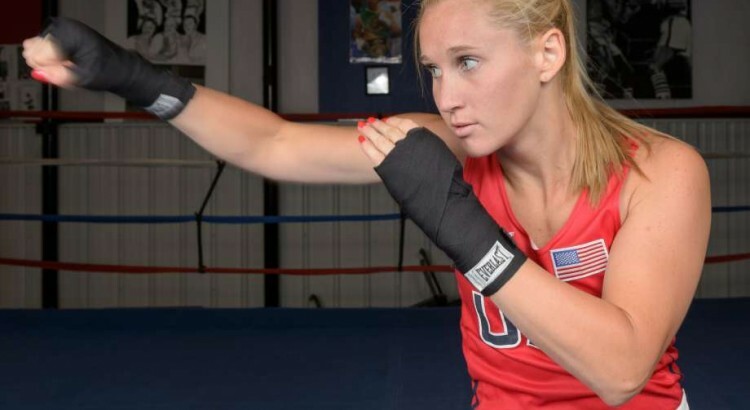 On her sixth try, Fuchs scored a split-decision victory over longtime rival, and reigning world amateur flyweight champion, Marlen Esparza in the winner’s bracket final at the U.S. Olympic Women’s Boxing Team Trials at Cook Convention Center. “I thought, ‘Finally! I did it! I did it!’” said Fuchs, who earned herself a spot in Saturday night’s championship round at the Cannon Center — and the next two days off. Reigning Olympic middleweight gold medalist Claressa Shields and top-seeded lightweight Mikaela Mayer scored unanimous decisions Wednesday night and moved into Saturday’s finals. Fuchs came out fast against Houston-based Esparza and established her space. And after a couple of inside flurries by Esparza early in the second round, Fuchs reset the boundaries by countering with her jab and keeping her cushion in the ring, and on two of the three judges’ scorecards. Bayern Munich thrashed to their fourth successive defeat. US’ poor performance continues. Drops down to world #31!